Labuan International Business and Financial Centre reports that 14 insurance and insurance-related firms were set up last year. 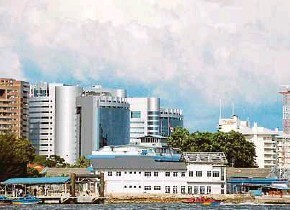 THE Labuan International Business and Financial Centre (Labuan IBFC) continues to serve the region’s rapidly expanding insurance needs, with gross written premiums increasing 2.2 per cent to US$1.4 billion (RM5.66 billion). Of the US$1.4 billion, 63.2 per cent was retained in Labuan, mainly driven by general reinsurance and captive premiums amounting to US$943 mil- lion and US$361 million, respectively. “Last year, 14 insurance and insurance-related firms were set up in Labuan IBFC,” it said in a statement yesterday. Contributions from foreign businesses increased 60.9 per cent and remained a significant portion of the Labuan insurance sector’s business pie. Fire risk insurance maintained its market dominance at 36.7 per cent of total premiums. “The underwriting margin contracted to US$491.9 million because of the increase in catastrophe-related claims during the year. This resulted in the overall claims increasing from 35.2 per cent to 63.5 per cent. “As a result, the overall industry’s profitability moderated to US$170 million last year from US$387.3 million a year earlier,” it said. Despite this, Labuan’s insurance sector’s financial footing remained sound and stable, with a strong solvency margin of five times above the regulatory requirements, it added.